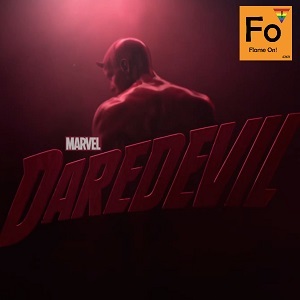 After a weekend (or two) of binge watching, the boys are back to expose their legal briefs on the hot new Marvel/Netflix series Daredevil. From the ultraviolence of street brawls, to the legal proceedings of the courtroom, to the personal dating life of Wilson Fisk (really? ), there’s a lot to take in over the 13 hours of the series! Listen in to hear what the boys of Flame ON! think of it all, and let us know what you thought of the series.